The current political climate continues to create a culture of division that has our collective feeling tone hovering in the fed-up to angry range. As the rhetoric heats up, discussions that are charged with animosity and hate speech have become the new norm creating anger and fear in our hearts and minds. They lash out, we lash out and so it goes.We need a compass to know how to mindfully respond to hate speech, so we do not create more pain and suffering in our hearts and minds and in our local and global communities. Mindful reactions to hate speech is progressive. The first step is to develop equanimity and peace so that our wise responses are expressed with patience and calmness. After equanimity is established, we investigate morality and integrity and respond in a way that uplifts, protects, and supports justice and freedom. Finally, we impart and share wisdom and insight so that we may all be liberated from misunderstandings and ignorance. During the Vietnam War, Buddhist Monk Thich Nhat Hanh (Thay) served as a non-political peace activist who aided refugees by rebuilding Vietnamese villages as they were bombed by both Communist and Capitalist Countries. Thay refused to endorse either political agenda of the Communist or Capitalist countries. He endorsed a humanitarian agenda that aided the Vietnamese people. In his efforts, Thay has stated that he helped to rebuild the same village three times. While attending a public forum on meditation Thay was verbally assaulted by a man who asserted that he had the “blood of his people on his hands”. The heckler stated that because of his influence with Vietnamese people if had chosen a side the war would have ended sooner. How painful and insulting that must have been. Thay realized that the hateful accusations had caused anger to rise within him. Although the auditorium was full of people who had come to hear him speak, Thay knew that the right response was to first reclaim peace and equanimity. Thay walked off stage and practiced mindful breathing behind the stage curtains before returning to address the man that had verbally assaulted him. The flames of hate and anger are cooled by peace and equanimity. Mindful reactions to hate speech does not amp up the flames of anger. When we respond to hate speech with anger in our heart and mind, we exacerbate and fan the flames of hate. Our first response is to lash out and protect ourselves when we are being verbally assaulted. If we can calm our mind and heart before responding, we have touched an elevated state of awareness. Elevated states of awareness such as love and compassion are our true nature. Freedom of speech is protected by the First Amendment and like it or not this includes hate speech. Anger and hate are bound by wrong views and perceptions, yet erroneous and ignorant views are allowed expression to the same degree as insightful and beautiful expressions. Those who use hate speech often do so in order to control, manipulate and hurt marginalized groups for their own personal interest and gain. There are often immoral and corrupt intentions behind hate speech. Mindful reactions to hate speech re-balance the imbalance. 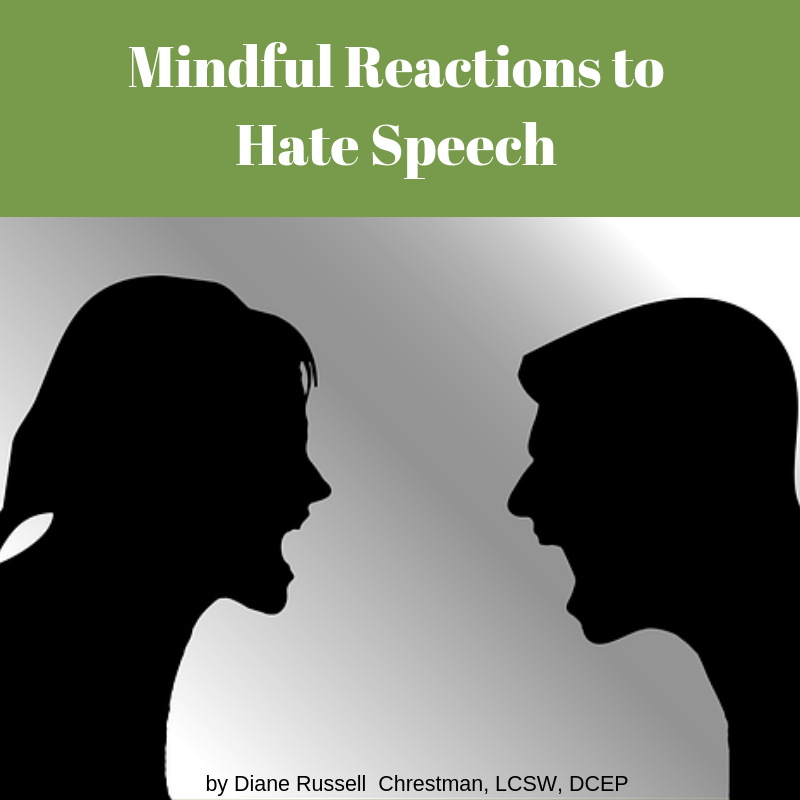 Mindful reactions to hate speech considers the right level of firmness needed and responds accordingly. Sometimes the right level of firmness is assertive and at other times mindful reaction to hate speech is nobly passive. Mindful communication includes considering the right level of firmness. Jesus knew that a high level of firmness was needed to stop the high priest from exploiting the faithful. A firm boundary was needed. 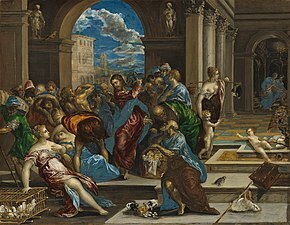 Politely asking for a meeting with the high priest and explaining his concerns of economic exploitation would not have been effective, so Jesus threw furniture. Jesus could throw furniture mindfully. If throwing furniture is the right response, we can try to do so mindfully. If we need to raise our voice do so mindfully. Mindlessly shouting over shouting only creates more shouting. Have We Become To Sensitive? Since the Me Too Movement, there has been a great deal of discussion around perceived new levels of sensitivity. Consider catcalling. Many women feel threatened and angry by unsolicited and often crude comments made about her body as she is walking down the street. If the woman has been sexually assaulted a cat call can be quite a triggering event. Other women may not find it offensive or feel threatened. The intention of the catcaller may not be intended to threaten. Perhaps it is intended as a compliment, albeit an ignorant way to do so. Other times the commenting is meant in a sinister threatening manner. Either way, societal responses intended to protect and believe women who have been hurt by sexual assault over the last decades (or perhaps since the beginning of time) have been abysmal at best. Women are angry. They are sensitive to any sexually charged communication. Perhaps a period of sensitivity is needed to re-balance the imbalance by reminding us to be mindful of our words. To restore morality and integrity we should understand the sensitivity of women and minorities and help to protect and comfort them. Even if their response resonates as being “overly sensitive”. Hate speech, including racial slurs and sexually intimidating language, has only recently evolved from culturally sanctioned to unacceptable forms of communication. The pendulum has begun to swing the other way. Marginalized groups are not having it, speaking up and resisting. Some argue that we have become over sensitive and standards of “political correctness” has made it impossible to have meaningful dialogue. A young woman recently shared that an old man in rural Georgia referred to her as “Hon” as she payed her bill at a local restaurant. She let him have it and was quite aggressive in responding to what she deemed as a demeaning expression. The old man was in shock not understanding how being addressed as “Hon” might resonates to a young woman. Was she to sensitive? I think a better question is, why would she respond in this way? Perhaps there is more to her response than sensitivity. Perhaps the long history of sexual assault, combined with the resistance and accountability being demanded by women have emboldened her. She does not intend to be a victim again. However, as she is understood and her pain acknowledged perhaps she can see that in this situation perhaps the old man meant no harm. “Hon” is a term of endearment often used in the south without sinister intentions. Mindful reactions to hate speech requires that we look at our own sensitivities with wisdom and insight. Our hearts and minds are clouded with the poison of past pain and we over react when words are inappropriate or lacking elegance but not intended to be intimidating or threatening.